The Communist Party of Malta said that “the Government should invest more in public healthcare and not in the private sector. The proposed measure to incorporate the private in the running of public healthcare dentistry services in the community, shows, that public services in Malta are being taken over by private entities. “Workers in the public health service should be aware as privatisation will push-down their working conditions and wages, as new workers will be employed under precarious conditions that include jobs on a definite contract, and others under temporary agency work contract”. 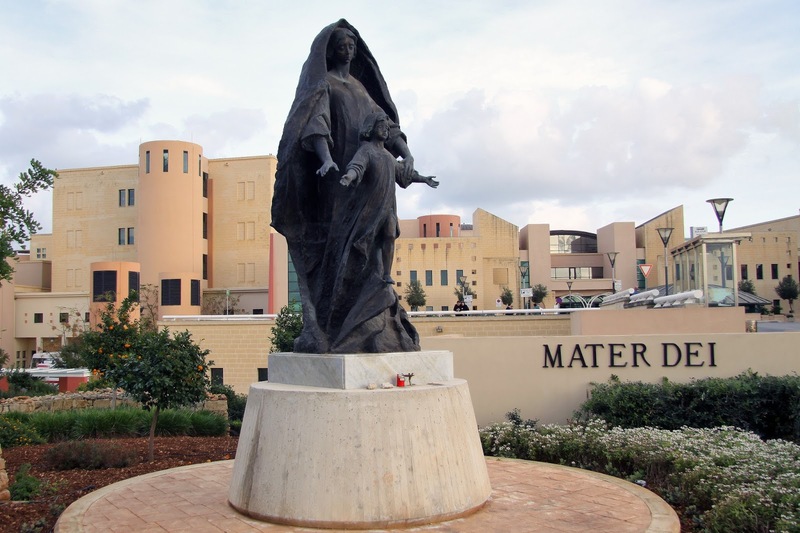 The Communist Party of Malta added that “Healthcare care should remain public and not transferred to profit-oriented entities as this threatens the concept of having a universal welfare system. Government should not use public finances to subsidise private hospitals and clinics”. thanks for sharing this awesome post, every selected pix and quote from your Malta zone really learn-able, seriously we try to learn more!!!! An organized Communist Party did not exist prior to 1969. Secret Communist cells existed in various periods from the 1920's onwards, but they were always small in number. Maltese communists militated either in the Communist Party of Great Britain, or in the Partito Comunista Italiano, or worked under cover within the Malta Labour Party, which was also infiltrated by the catholic clergy at that time, in an effort to prevent the Labour Party from taking a Marxist line, notably amongst these infiltrators was Mgr. Michael Gonzi, the future Archbishop of Malta and a faithful servant of the British Crown and a much bitter enemy of Malta’s Liberation Movement in Malta’s struggle for Independence in the late 1950's.
. The major exponent of the bourgeoisie was the Nationalist Party, an irredentist party firmly believing that Malta was a part of Italy that had yet to be redeemed, from English occupation. Its leaders favored the Italian Language to Maltese, and openly shown sympathies towards Mussolini’s fascist Italian state. With the Second World War looming on the horizon the English colonial authorities sacked a Nationalist administration after winning an election with the aid of the Catholic Church who had imposed mortal sin on who ever voted for the Constitutional Party, a pro British Bourgeoisie party. This pro Italy position eventually led, to the internment of the Nationalist Party leadership on breakout of the war. After the Second World War it was the right wing turn now to suffer a setback. The Second World War changed completely the political scene in Malta; however the times were still difficult for the setting up of a Communist party. At the Mayday celebrations of 1948, where in a dinner held by the Labour Party for the occasion. The English socialist anthem Scarlet Banner was sung by some leftists present of the at this event. This caused an incident which led to affidavits and statements by the leading members of the labour party in parliament and a witch hunt by the Catholic Church paper Lehen Is-Sewwa (The Voice of the Righteousness) and the British Colonial authorities. DEMOCRACY DID NOT REALLY EXIST IN MALTA PRIOR TO 1971, not under the direct British Colonial rule, neither under the first Nationalist Administration after the 1964 independence. It was not possible to form a Communist Party. It was enough just to receive the "Soviet Weekly" from the United Kingdom, to find yourself watched and tailed by plainclothes policemen, and even taken to be interrogated by the Police. The Maltese Prime Minister in the early 1950’s took a film distributing company to court in order to stop the screening four Soviet films which the then, very harsh censors, had deemed them fit for viewing by the Maltese general public. Even Hollywood ran into trouble, if the story line included communists. One positive aspect was the cold war cinema films of the McCarthy era were banned in Malta. The Civil authorities went into hysteria at the word communist. The then regular Christmas tournament, organized by the Malta Football Association was stopped, because most the teams invited came from Eastern Europe. The catholic oligarchy led by the now Sir Michael Gonzi Archbishop of Malta with its’ network of Parish priests spying on each and every individual in each respective parish operating in a Gestapo fashion. The Main employment on the island depended on the Naval Dockyard, and on the other British Military Bases. The contradiction here was that, to declare oneself Communist would have been sheer madness, as these "devout" Catholics, would have starved you to death, while on the other hand Marxist Ideas spread amongst progressive workers, by the odd English Airmen or Sailors posted on the island. It is not possible to mention all here but many passed through party membership. During the 1970,s the party gave critical support from the left to the Dom Mintoff’s Labour Party administration progressive, anti imperialist policy. The Party supported the policy of neutrality and the demilitarization of Malta, At the time Malta was an important NATO Base. The Communist Party was not prepared to contest the General Elections in 1976 and in 1979 was in support of the closing down of all the military bases in Malta. In 1981.for various reasons, again the party could not contest in the general elections. During the 1980's the party embarked on the road towards electoral campaigns. The party started to publish a monthly newspaper "Zminijietna" and started to prepare for the evantuality of contesting. The Party was now going through its golden age as membership started to grow and things were looking up. On the eve of the 1987 elections Dom Mintoff now a backbencher in the Labour administration proposed amendments to the Maltese constitution, which were accepted unanimously. The electoral rules were changed to suit the two party system and it resulted that small parties now had no chance of surmounting the unofficial 17% threshold. The Central Committee failed to read the writing on the wall. Failed to withdraw from the fray, and contested the 1987 elections with disastrous results. After this debacle, the party went into a period of decline. The events in Eastern Europe of 1989 continued to give the party further blows, where now it was a struggle to survive and keep its archives. In the mid 1990’s the party slowly started again on the road of being active once again. A Festival jointly organised by the Communist Party in Denmark (KPiD) and the Communist Party of Denmark (DKP) takes place on Saturday 15. August (12-23) and Sunday 16. August (12-18) in Norrebroparken in Copenhagen (near Nordbanegade). Bus 5A from Central Train Station. Lots of music, speakers from the 2 organising parties and from other organisations, political debates, displays, food, drinks and happiness - everything in favour of the 2 communist papers, Kommunist and Skub. Everybody visiting Copenhagen are invited! Add a subscribe box to your web page.